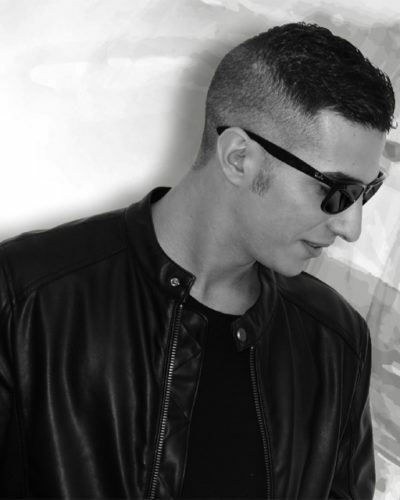 As Music Producer he has collaborated with artists such as Hector Fonseca (Official remixer of Beyonce, Rihanna, Lady Gaga, Katy Perry, Sia), Reza (Ministry of Sound), Dario Nuñez (Top 20 DJ House at Beatport), Nuria Scarp (Resident DJ Sweet Pacha), Chris Damon (Bora Bora Ibiza artist), Torrex & Andrea Lombardi (Resident DJs of Italy), get in tops in digital music stores (Amazonia TOP #22 Traxsource | U Know TOP #19 TrackItDown | Don’t Steal My Life TOP #9 iTunes Dance Chart) like another download site and publishing on important labels like Soleado Recordings, Casa Rossa (Gary Caos), Koolwaters Recordings, Music Zone Digital, Chilled Beats or Final House Records. In addition, his music have been included in compilations such as Spring break Miami, Deep House Ibiza 2015, Jack Ur Body #2 (Club Session), Best Of Tiger 2017 (Tiger Records) and has even been supported by Diplo, one of the most important djs and producers in the world, in Sveriges Radio (Sweden), Albert Neve<>Abel Ramos (Maxima FM) and many more. He collaborates every Saturday at BeachGrooves his radioshow ‘Enter The Deep’ (Number 1 Deep House Music station on the Costa Del Sol). Official resident DJ 2017 in Mosaïc Music Club, a nightclub located on the Costa del Sol where every night surprises his audience with the best electronic sounds. He is the Label Manager of Essential House Records, with an important music catalog of artists such as Dani Masi, Dario Nuñez, DJ Neil, Julian de Angel, Obek, T.Tommy.